I've been on vacation for the past week and a half. My original plan was to bang out some Earthbound and other retro's. That plan lasted 45 minutes on the drive home. Our Geothermal went out so I was contained to my bedroom, with a window AC unit and my XBOX One. So I decided to revisit an old nemesis. Destiny. It's been tough honestly. I put the game down after beating the Crota raid a few times and getting my Hunter up to Level 42. Destiny is one of those games with a ton of different currencies and different items, that honestly gets overwhelming. Its one of those games that if you do not play often, you tend to forget item specifics. Which is exactly what happened to me. Luckily Eric was there to help me along and get some sort of understanding on things (I still dont understand Mote of Light). I still feel like I have no idea what to do on a daily basis to get the most loot, but I guess that will come with time. 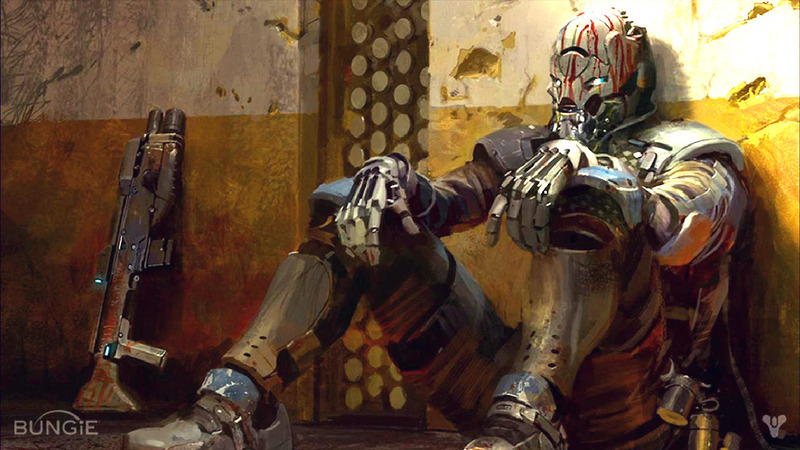 But I think I realized what makes Destiny so great, and so awful. Its all about the social interaction. 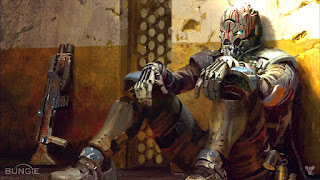 When I first came back, I was strong armed into playing The House of Wolves story line, alone. It was awful, I didn't know who, why or what I was doing. Then Eric agreed to lead me through the Weekly Nightfall, and that was great. It was the same mission I had played a hundred times, but it was great. There was a moment when we were at the final area and Eric had died. Being Nightfall, I had to revive him in order to come back. The area was filled with captains, snipers and invisible melee enemies. Slowly, I destroyed enemies until only one captain was left. and he decided to hide right next to Eric's ghost, right where I couldn't see him. The time had come, to finally make flight for the revive. I dropped down from my rock and made my run. After launching a grenade to keep Mr.Captain at bay, a few short moment later Eric was back up and into the fight. Its those moments, those social moments that make Destiny great. You instantly feel like a hero. But those moments don't happen in single player. Destiny is still a conundrum to me. One that I hate to play solo, but love to play with friends.